If you haven't visited Hampton Court Palace since primary school, now is the perfect time to return and take the kids. 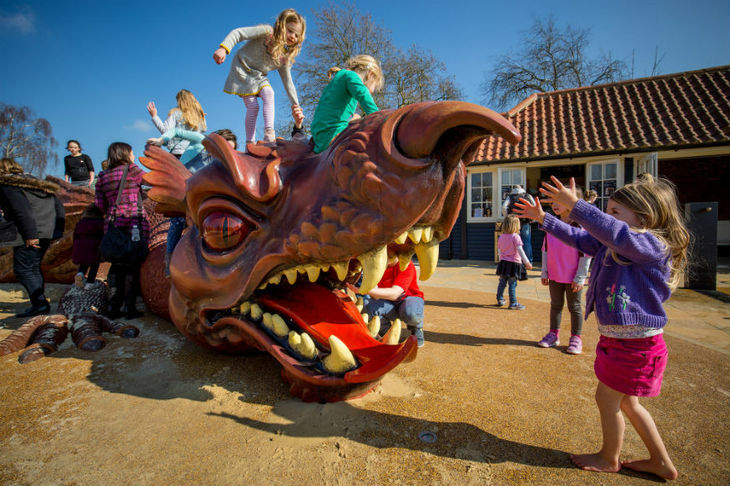 This Easter sees a brand new playground for families, inspired by the myths and legends of the Tudor Court, open in the gardens. 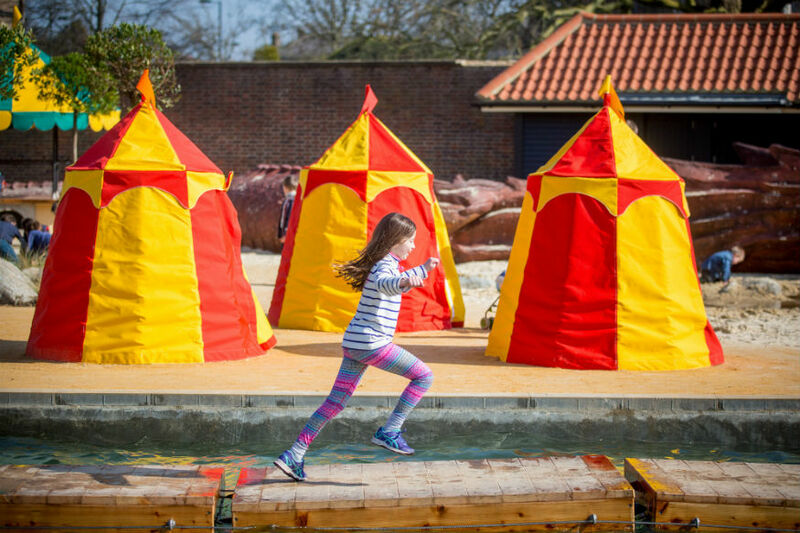 Entering through a maze-like passage of mysterious topiary, budding young knights and princesses find themselves in the lair of mythical beasts, surrounded by the palace’s famous five 'lost' Tiltyard Towers, which have been recreated with their own distinct identities. Offering an exhilarating helter-skelter style slide as well as a (very high!) fireman's pole, the standout towers are the bright King's and Queen's towers, which also offer the best vantage point over the arena. Originally Henry VIII's 'pleasure palace', the new garden at Hampton Court not only celebrates a rich Tudor heritage, but extends its fairy tale qualities in such an imaginative way that little ones could easily think they’ve fallen down a giant hole in the vegetable garden and woken up in their very own Wonderland. The Perspective Pergola, for instance, can make even the tiniest of visitors seem tall, while the amphitheatre picnic spot (intended to be a hub for events and entertainment) forms an an enviable putting green. This, together with the enormous bejewelled crown — a recreation of the King's own — which sits high on a mound, could just as well be a vantage point for the Queen of Hearts to eyeball her minions, as for the King to survey his grounds. 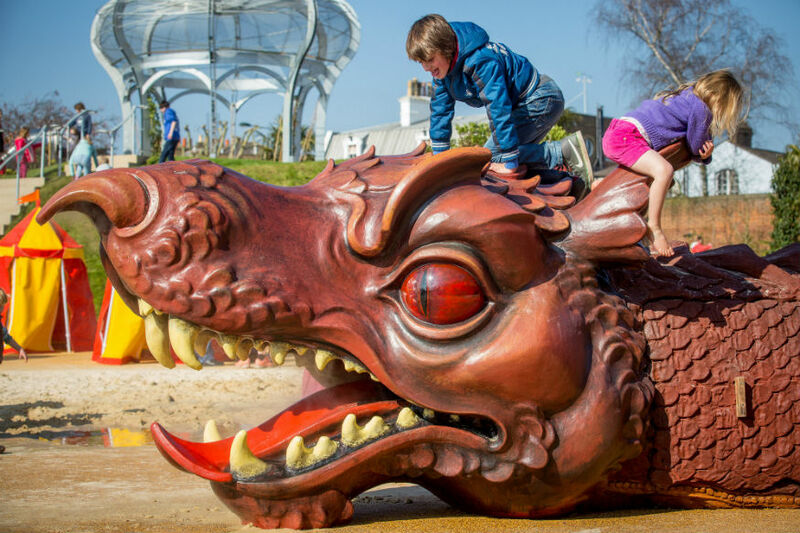 The crowning glory of the playground is the 25ft long dragon which lies sleeping in a giant sand pit. Threatening to wake (and breathe fire — well, steam) every hour as the palace clock strikes, this beast is perfectly positioned for scaredy-cats to dart off into the cafe and cool down with an ice-cream. 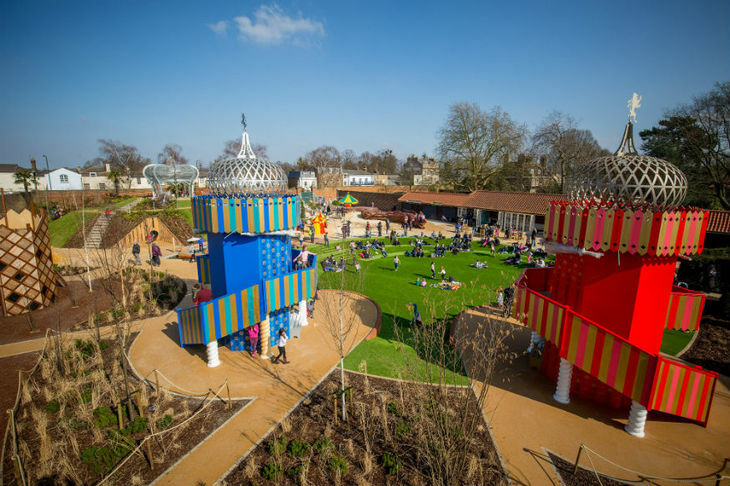 The Magic Garden opens on 25 March at Hampton Court Palace, East Molesey, Surrey KT8 9AU. Garden open daily 10am to 6pm until 30 October. 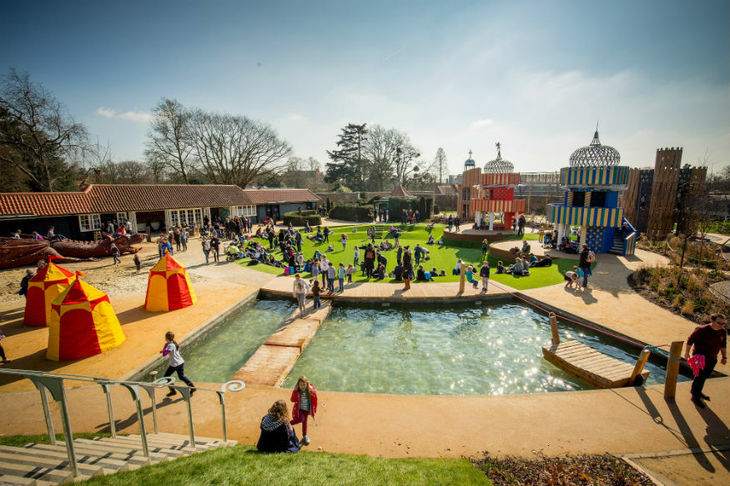 Admission for Maze and Magic Garden only £7 Adults, £5.50 for under 16s, concessions available; OR free with admission to Hampton Court Palace; £21 Adults, £10.50 5-15 years old, free for under 5s, online discounts and concessions available. Recommended age 2-13 years.